The link below is a copy of all agreements needed when enrolling..
Temperament Testing is done by appointment only and this determines if your pup will fit into our current pack. 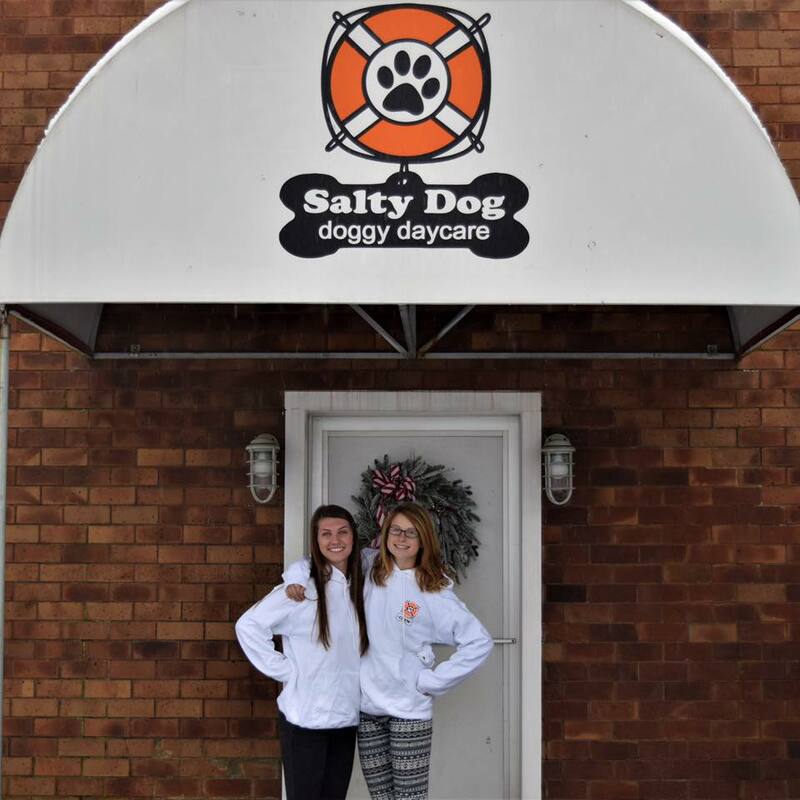 So if you are thinking about enrolling your pup, call the shop or e-mail saltydogdoggydaycare@gmail.com to see if there are any open temperament test spots available. This test cannot be done if your dog is not up-to-date on all rounds of 1) Bordetella 2) Rabies 3) Distemper shots and we need them on hand at the test or faxed/emailed prior or you will be told to reschedule. If your dog passes a temperament test, they will need to attend their first day of daycare before 2 weeks. If you exceed 2 weeks after your temperament test then you will need to set up another scheduled test. Their first visit should also a half day which is 6 hours or less, and must be dropped off before 7:30AM. The earlier the better so your dog is the greeter and less stressful. This is very important if you want your dog to feel comfortable in this new environment. *We have specific times set aside for temperament tests due to not causing disruption in the pack. Having a new dog enter the daycare at these specific times makes it easier for both the crew and your pup without getting extremely stressed out. *If our staff informs you that we are currently not enrolling, we will ask if you wish to be put on a waiting list. This “waiting list” is based on first come first serve. If you wish to be put on the waiting list – we will call you as soon as a spot opens up. We only book one month at a time. We ask that you bring your dog on a leash and wearing a cloth quick-release collar. Your application should be completed, signed and we should have your Vet records in hand before you leave.